Apple and Samsung are heading to closing arguments in their patent infringement trial, and reputations and big bucks are at stake. 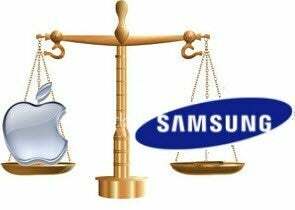 Samsung argues Apple should pay $421.8 million to Samsung for infringing on its patents. Apple is seeking $2.75 billion from Samsung in the case. Testimony wrapped up Friday. On Monday, the sides will discuss jury instructions. Closing arguments are set for Tuesday, and then the jury will deliberate and decide who will win what some consider the tech trial of the century. In court this week, according to reports from several media outlets including Reuters and Bloomberg, testimony was mostly dry, but there were some interesting tidbits that were revealed. For instance: Apple said all its patents in dispute in the trial had been licensed to Microsoft. That licensing agreement, though, includes a "do not clone" clause, which keeps Microsoft from knocking off design elements of the iPhone and iPad. According to Apple, it tried to cut a similar deal with Samsung, but the South Korean company countered in court that the scope of the licensing agreement that it was offered was narrower than the one offered Microsoft. Also this week, Apple made a move to keep secret some financial and marketing documents that the presiding federal judge in the trial, Lucy Koh, wants to make public. The documents include Apple sales figures identified by country. Apple historically releases sales figures only by region. Koh denied a request made by Apple to seal those documents. Apple has asked Koh to delay making the documents public until the company can appeal the ruling. Samsung, meanwhile, has been attacking Apple's originality. A parade of expert witnesses cited iPhone features such as "rubberbanding" -- the way the screen bounces on an iPhone or iPad when the end of a file is reached, and "snapback" -- the way the screen stops scrolling when a user arrives at the end of a collection of images. The jury of seven men and two women in the case also heard testimony from a senior designer at Samsung about how hard they worked on making original icons for the company's phone and tablet products. Apple claims Samsung ripped off its iPhone icons. 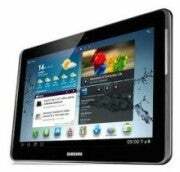 The court has removed from the infringement suit three Samsung phone models: the Galaxy S i9000, Galaxy Ace and Galaxy S II i9100. Twenty other Samsung devices, though, remain in the case. Although Judge Koh tried to get Apple and Samsung to settle their differences before and failed, she pleaded this week for them to give peace a chance. "I see risk here for both sides if we go to a verdict," she told the legal teams, according to All Things D. She added, "It’s time for peace." Nevertheless, Samsung continued its case against Apple. Among other things, it argues the Cupertino, California-based company violated Samsung's intellectual property for scrolling through photographs, sending them through email, indexing them, and playing MP3 music files. Apple attempted to undercut the value of those patents to Samsung. The photo scrolling patent, for example, hadn't been used by the South Korean company in a smartphone in three years, it argued. Apple also pressed its copycat case against Samsung while cross-examining one of its technical witnesses. It did that by introducing email messages attributed to Google that showed the search giant was concerned about Samsung's phone designs too closely copying Apple's.